Canonical has released Ubuntu 18.04, Bionic Beaver, as this one is nicknamed. The Beaver is a long-term support (LTS) release, which means it'll be supported until 2023. For those who only upgrade from LTS to LTS releases, this will be a major update, one you may not like. 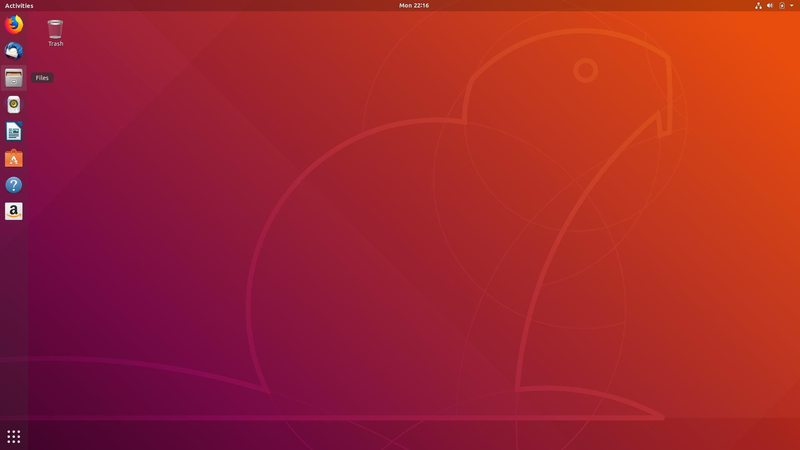 Ubuntu 18.04 will be your first without the Unity desktop. If you checked out last year's autumn release of 17.10 then you know what's in store, but for a significant portion of Ubuntu's user base, this will be the first brush with GNOME Shell. 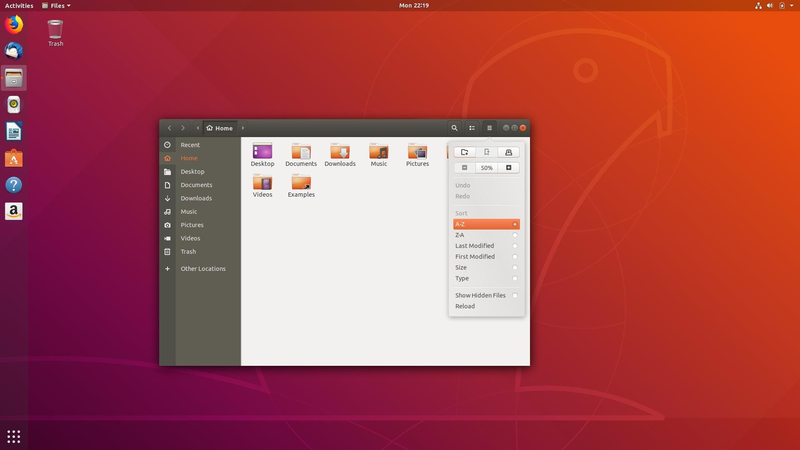 The good news is that, while not everything in Unity is possible in GNOME, most of it is and Canonical's developers and community have done an excellent job of making GNOME Shell feel and act like Unity. There are two places that GNOME can't match Unity – the HUD menu and the number of keyboard shortcuts out of the box – but in general, for most users, the transition from Unity to GNOME will likely be smooth. While the loss of Unity is the biggest news in this release, there's one other change for anyone who's already using 17.10: the Wayland display system has been yanked in favour of X.org. Wayland made the default for the more experimental 17.10, but for the LTS release, Canonical has wisely defaulted back to X.org. In my own testing of Wayland, GNOME Shell usually performs pretty well, while KDE and others (I've used Sway a bit) are buggy, very buggy. Even in GNOME there are plenty of features that simply don't work – often by design – under Wayland. For example, screen sharing in Google Hangouts or Skype doesn't work and VNC supposedly works, though I've never managed to get it running. Given that screen sharing and remote desktop capabilities are often fundamental functions of enterprise deployments, one of the biggest upgrade markets for an LTS release, ditching Wayland was the right move. It is of course in the repositories so if you liked Wayland under 17.10 and want to keep on using it in 18.04, you can. By the same token it's worth pointing out that there is a community-driven version of Unity 7 available so if you really dislike the GNOME experience, you can get your Ubuntu 18.04 and have your Unity too. 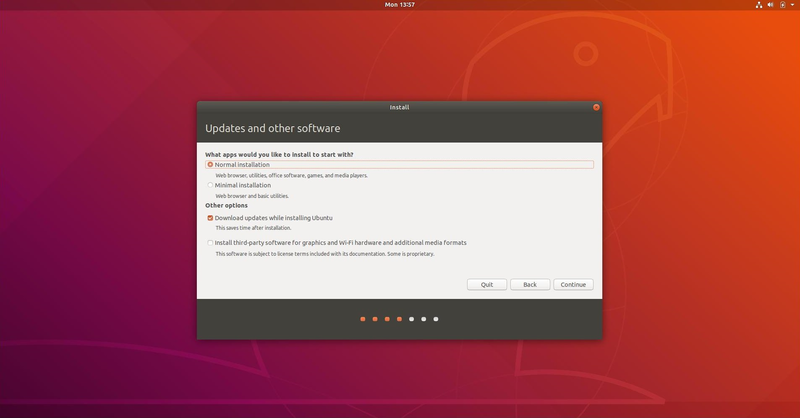 If you're upgrading from 16.04 LTS to 18.04 LTS then the question, "what's new" has a considerably longer answer if you haven't already tried 17.10. In fact there's really too much to cover here. I'll stick mainly to the big story: GNOME Shell rather than Unity. 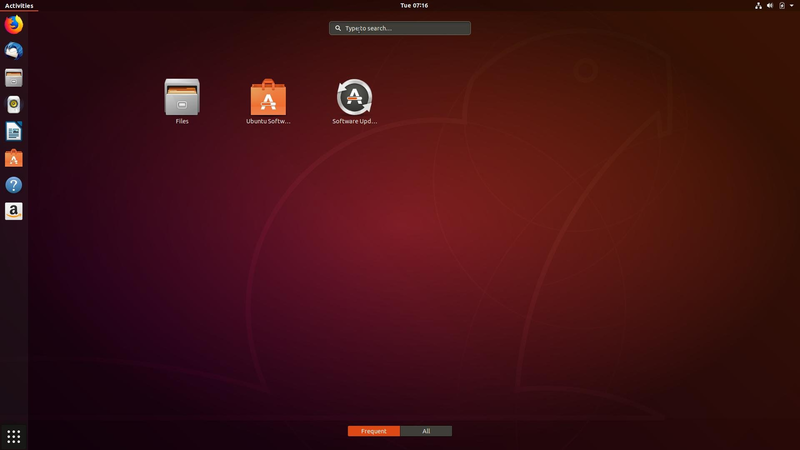 Ubuntu's GNOME theme manages to make GNOME look very close to the Unity desktop you're leaving behind and, except for the items noted above, all the functionality of Unity is there, it just might be in a totally different place. Take a very small thing like the minimise, maximise and close buttons – they're on the right now. If you're like me, that saves you a step since the first thing I always did was move them from the left to the right. If you like them on the left, now you have to install dconf-tools, launch dconf-editor and then head to desktop > wm > preferences, where you can move your buttons back to the wrong side of the window. Another thing you'll notice that's different are the window bars themselves. They're a bit bigger and use what people seem to call "header bars", though the technical GNOME term is client-side decoration, which merges the title and menu bars into a single mess of icons, titles and, well, just about anything the app wants to throw up there. I find them difficult to use in nearly every way – harder to click menus, harder to drag windows and generally a giant usability fail, but they are here and there is no getting rid of them. Similarly, while you can customise most of the GNOME interface and change pretty much all the same settings as you could in Unity, the settings app itself is very different with options often in different places. Still, if you spend a few minutes poking around in the settings app, you should find everything you need eventually. If you don't, there's always dconf-editor. Ubuntu's application stack has always been very close to the GNOME defaults and this release is no different. As you would expect, all the major desktop apps that ship with Ubuntu have been updated to the latest version or near enough. There are, however, some very cool things about GNOME Shell that make life much better than it was in Unity. I travel constantly and use public Wi-Fi all the time. These days more often than not public Wi-Fi requires some sort of obligatory user agreement click-thru that Ubuntu used to be really bad at detecting and handling (browsers are pretty good about it, but if you're using SSH and forget that you haven't done that yet, you're going to end up very frustrated, trust me). GNOME gets this right and has never not detected the "captive portal", as this is called, eliminating some frustration from public Wi-Fi. Then of course there are the things that have not changed – the Amazon App that no one has ever clicked on is still there in the dock (yes, now it's called a dock) and Ubuntu is still managing to raise free software hackles by wanting to collect some pretty innocuous and supposedly anonymised data about your machine and how it works. It's not a great violation of privacy, but as with so many things tech-related these days Canonical has done a very ham-fisted job of conveying what it's trying to do. You'll have to opt out if you don't want to help the project gain some data about its users. It's something of a catch-22 for Canonical. If they make it opt-in no one will opt in so they may as well not do it. If they make it opt-out everyone will scream and holler about privacy, but at least they'll get a little data because almost no one will actually disable it. Can't say I blame them, but I disabled it during the installation. Pay attention to all the dialogue boxes in the installer. Curiously, if you upgrade you'll be asked to opt in rather than out. Speaking of the installation, it has an interesting new option to do a "Minimal Install", which means the base system, GNOME and a web browser, terminal and other basic apps, but nothing extra like music players, office suites and so on. If you like to replace stock apps with your own favourites anyway, the Minimal Install option looks like a good way to go. And note that this is different than Ubuntu's Minimal Installation CD, which just installs the base system, no desktop. Also worth noting for those coming from 16.04, Ubuntu now uses a swap file instead of a partition, which saves you some disk partitioning work, though if you upgrade rather than fresh install Ubuntu will stick with the swap setup you already have. There are quite a few other small updates to this release including the GNOME To Do app, which makes the default app list for the first time, some subtle but nice updates to the default Ubuntu theme and, mostly of interest to server users, kernel-level live patching now works out of the box with Canonical Livepatch.